1. How should walls be prepared before painting? 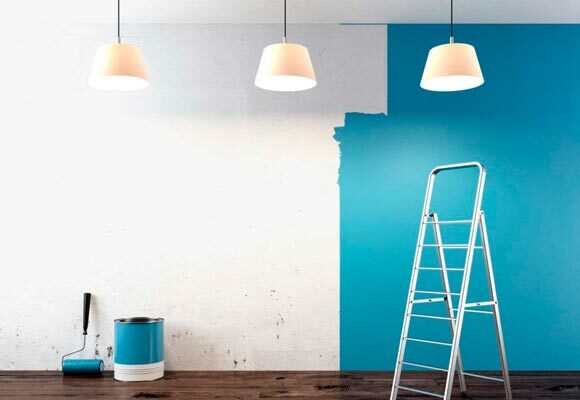 An essential technique of good painting involves a previous preparation of walls and roofs; the results of your painting project and the product finish will depend on that process. • To remove superficial dust, you can use a damp cloth, a dry cloth or blow with a hairdryer, depending on its resistance. • If the old paint is aged and distressed, you can use a special sealer to homogenize the surface or you can eliminate it completely by stripping and brushing. • If the surface is irregular, you should make the surface even by using a repairing filler and a flexible scraping knife. Sand the surface superficially till the repaired area is at the same level as the rest. • In case of dirt or different kinds of stains, you can remove them with a mild neutral detergent if they are slight, or by covering them completely with a stain block primer if their origin is grease or moisture, and end up the process with the desired color/finish. Mildew or mold should be cleaned and disinfected with bleach, hydrogen peroxide or a specific chemical cleaner. • On surfaces with different degrees of gloss, the direct application of a matte finish may result in problems of adhesion and incompatibility. In order to avoid this problem, you can sand small surfaces till they become matte and then remove the residual dust, or you can use any kind of sealer providing extra adherence. Once the surface is clean and ready, according to the recommended drying-time, the desired product can be applied. 2. Which steps should be followed to paint a room or inner space professionally? 1. Clear away the room entirely; if not possible, pull furniture to the center of the room and cover it with plastic. 2. Remove sockets, switch plates, handles, junction boxes, etc. Label and identify them clearly. 3. Tape off frames, baseboards, doorknobs, wiring, light fixtures, etc. with professional painter´s tape. Be sure that none of the tape is on the wall to be painted to avoid your old paint make appearance. 4. Clean and prepare the surface according to the desired paint finish. 5. Get tools and paints ready before starting your painting work (trays, brushes, rollers, putty knifes, sponges, trowels, scrapers, combs, etc.). Invest in professional painter´s tools, available at most hardware stores and paint suppliers. Non-qualified material can spoil your project, as it usually happens with low quality rollers leaving hairs or fibers in the finished wall. 6. Good ventilation is always recommended both, during application and during drying-time, as well as using as much light as possible. 7. Invest the time up-front to get off to a great start, and your project will go smoothly and will look beautiful. 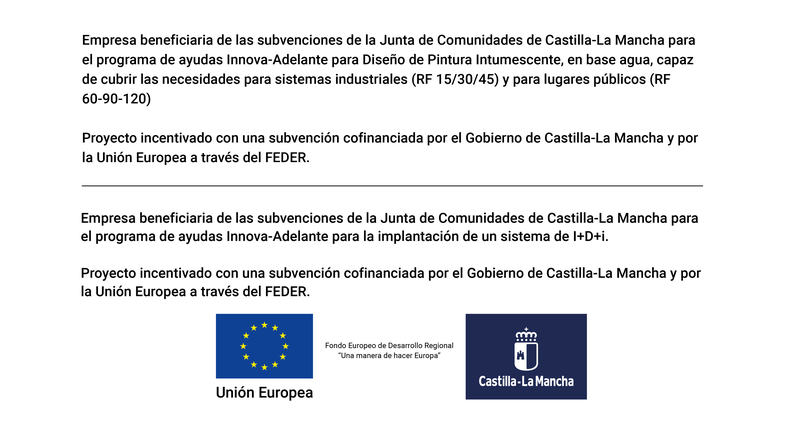 The recommendations of use explained on the Technical Data Sheet of the product must be carefully observed: an extra heating source or a thicker coat of paint won´t save neither time nor product. 8. If you are not a pro, ask the paint supplier or manufacturer about specific and more elaborated decorative effects. Help in advance can prevent annoying double work later. 9. Conventional painting without special decorative effects requires a last coat from top to bottom to ensure uniformity. 10. 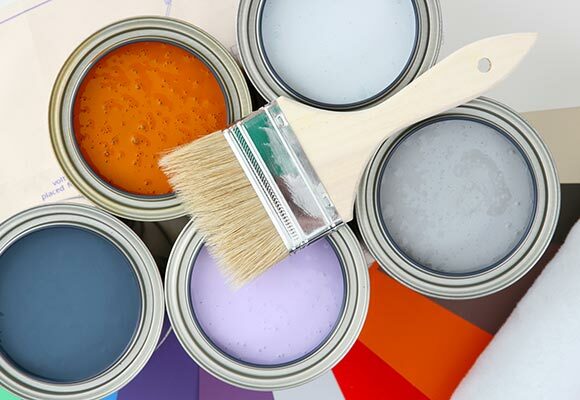 At the end of each stage of the painting process, clean deeply all the tools to have them available for next day, close paint cans properly and manage paint wastes responsibly (tape, cover sheet, plastic, etc.) throwing them to the right containers. Do not throw waste paint down the drain or the sewerage system. 3. How should contain and container be manipulated? The first thing to do is to calculate a material estimate in order to prepare just the necessary product. Stir thoroughly the content, especially those colored enamels which require complete homogenization, until getting a uniform color. In case of applying a synthetic paint, thin with water till getting the appropriate viscosity according to method of application or experience of the user. Do not thin more than recommended in the product instructions since its qualities may be significantly altered: covering, splattering, uniformity, etc. Next, pour the content into a bucket or paint tray; do not dip the roller directly in the paint container, since the excess of product will drop around, spotting the floor and other elements of your room. Once the process of application is finished, the containers should be tightly closed to avoid the product get dried. If you have chosen a particular color to paint a room, it is recommendable to keep the product leftovers without any dilution in a glass jar hermetically closed by hot water bath sealing. In this way you will dispose of any sample of the original color if any reparation is necessary in the future. 4. 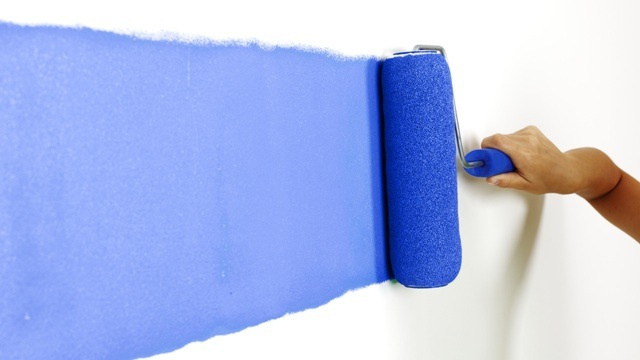 How can you apply paint by roller like a pro? 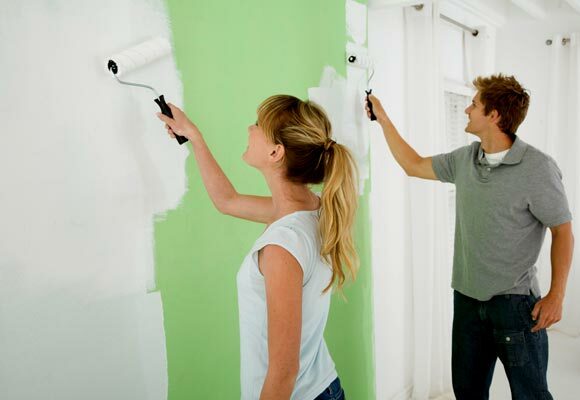 Before applying paint by roller, you must cut-in corners, edges, baseboards, sockets, etc. You mustn’t overload the roll nor press in excess, since differences of shine or tone may appear at the end. During the process of application, try to get the utmost homogeneity regarding load, application and distribution of the product. The painting work must be always started with the ceiling or top of the walls; you must sweep the vertical walls up and down to get a perfect finish. 5. How can I choose the suitable color or find the perfect chromatic contrast? Though being a subject of interest from old-times, color is still a burning issue nowadays and it is constantly updated according to the latest trends. The aesthetics of colors is essential not just for industrial design, but also in the artistic world. Color is a language of communication able to convey feelings and to transmit ideas, sensations and plastic representations. Color appears when the white spectrum of light strikes an object which reflects certain wavelengths and absorbs others, reaching the receiver’s eyes in the form of a wide range of different colors. White: it is associated to light, freshness, cleanness, calm and purity. It enhances other colors and enlarges spaces. Yellow: it is associated to joy, happiness, energy, positivism, heat and sun. It stimulates mental activity. Orange: it is associated to excitement, attraction, creativity, encouragement, energy and happiness. Pink: it is associated to love, friendship, warmth and calm. It is ideal for bedrooms. Red: it is associated to love, friendship, strength and determination. It is the color of excitement, heat and passion. Green: it is associated to harmony, stability, balance, elegance and freshness. Purple: it is associated to stability, energy, power, nobility, wisdom and creativity. Blue: it is associated to calm, peace, rest, relax and deepness. Black: it is associated to mystery, elegance, formality, seriousness and power. Black is not a color in essence but the absence of it. Choosing a color or a combination of several colors will depend on many factors: the room, the receptor’s perception, the distribution of furniture, the kind of light (sun or artificial light), etc. For that purpose, once you have arranged your choice among the wide range of colors available in Pinturas Macy, it is recommendable to take a test on a 1m²surface in order to check the final perception of the color and the different sensations it transmits. 6. How can I waterproof my terrace? Throughout the history of mankind, man has always tried to protect himself against weathering and other external agents; one of the main achievements has been the construction of a dwelling that should be likewise protected against weather conditions (rain, sun, wind, etc. ), specially external walls, roofs and decks. One of the most common systems used for ages to waterproof a surface involves asphaltic or bituminous coating. These products have been known for more than 5000 years as a way of waterproof protection against the presence and threat of water in its different varieties. The Bible reports the first waterproofing works carried out with bitumen; Noah’s Ark is an example of it. Columbus is also said to have used asphalt from the Trinity Island before departing back to Spain. Phoenicians, during the colonization of the Mediterranean Sea, caulked their papyrus ships with a bituminous pitch sprouting out from an old Phoenician area, today known as Lebanon. The presence of moisture is detected mainly by its anti-aesthetical aspect in the form of stains on interior walls, paint or coating spalling, growth of mold and mildew, saltpeter, metal oxides, unpleasant odors and moldy textile materials. There are two kinds of methods to waterproof terraces or decks for foot traffic or not. • Asphaltic products, sheet-shaped with different finishes. • Products with a base of polymers in aqueous emulsion, with high waterproofing properties and breathability to vapor accumulation without causing blistering or cracks in the building. Once dry, they form a flexible sheet, very resistant, which perfectly adapts to the conditions of the surface. In order to waterproof our terrace, we must consider a variety of aspects which can affect negatively the quality and durability of the treatment. Before applying the waterproofer, the necessary masonry works should be carried out, like adjusting or replacing tiles, applying new joints mortar, removing asphaltic cloth in bad conditions, repairing cracks and arranging the drainage system. The first step is cleaning all kind of dirt or contaminants by pressurized water. If there are any old, spoiled waterproofer, it must be removed by manual or mechanical procedure. If the surface is affected by biological contamination, like mold or mildew, it must be cleaned with a fungicide or sodium hypochlorite (bleach); if the contaminant is saltpeter or tough efflorescence, hydrochloric acid must be used diluted in 20% water, and a rinse with clean water must be carried out at the end. Once the cleaning procedures are executed, it is important to respect the drying time till internal and external humidity is completely evaporated. The second step consists on selecting the primer or sealer according to the terrace conditions and the type of surface (tiles, concrete, precast concrete, fiber cement, asphaltic cloth with a die-cut aluminum layer, stone slab, unglazed sandstone, etc.). Different kinds of primers or basecoats can be used: moisture stop, saltpeter preventing, solidifying, sealer, etc. The purpose of priming is to facilitate the waterproofer adhesion and to adequate its characteristics to the surface. The product must be applied along the whole horizontal surface, the baseboard and finally the vertical wall to a height of 15-20 cm. Previous to its acquisition, it is recommended to choose the most suitable product, according to the terrace conditions. The third step involves sealing expansive joints, baseboard and terrace floor union, exterior of drain holes and other irregular areas, etc. with polyurethane elastic putty or a mastic made of 1 kg or waterproofer per 3 kilos of fine-grain sand. The objective is to get a plain, well-leveled surface as far as possible. It is essential to choose a good waterproofer according to the problems and necessities to cover. The forth step is to apply three coats of the selected product, cutting-in joints, union points, external parts of drain holes, corners, holder of parabolic aerials, etc., previous to the main coat. The application will be carried out by roller, in cross direction and with different colors at will. 7. Why does a façade get dirty when it rains? On façade coating, whether smooth, rough or elastic, water marks running down after rainfall may appear, sometimes with a certain degree of stickiness. Dirt from residual stickiness usually appears on elastic façade coating. These products are widely used in the rehabilitation of buildings and their main role is to waterproof the façade and to patch cracks and micro-holes up to 1 mm. present on the surface. Residual stickiness can be due to an insufficient drying, to a wrong application with ambient and surface temperature under the recommended for the formation of a film, or to an abrupt exudation of the plasticizer with elevated ambient and surface temperatures. Dirt from surfactant leaching arises from a superficial concentration of solvable-in-water ingredients, employed as additives in the production of paint coating, which are dissolved and dragged by rainwater or condensation water. Their aspect may be translucent, sometimes sticky and occasionally polluted by ambient dirt. The problem is essentially aesthetical (it doesn’t affect the properties of the product) and can be highlighted depending on the selected color. • Areas prone to fog or dew. Application in the late evening. Rain expected before the complete drying of the product. • Excess of coloring agents used in the manufacture of colors or defects in their quality. • Façades washed by pressurized water, which keep a high level of humidity. When the product is applied, humidity travels through the film, dragging the solvable components towards the external part. • Quick application of coats; the second coat is applied when the first coat is not still completely dried. • Thick coats result in an incomplete drying of the inferior coats. •Application on a hot surface, with an elevated ambient temperature or strong side wind. Environmental agents in general cause the formation of an insufficient film; water dissolves the solvable materials and deposits them on the surface. When it rains or there is humidity condensation, these materials are re-dissolved and dragged along the surface following the path of water. Depending on the nature of the solvable material, the aspect of the water marks can be bright, translucent, sticky, etc. In the latter case, the aesthetical problem is highlighted by the accumulation of dirt. Dirt due to the lack of a rain guard is typical of Mediterranean constructions, as at Costa Brava, Costa del Sol or in the Balearic Islands, which exhibit an upper rounded architecture in their buildings. Dirt accumulated in the roof is dragged by rain or by the condensation of dew or of environmental relative humidity; once water is evaporated, the accumulation of this filth makes the façade dirty. General recommendations to solve this problem involve cleaning with pressurized water, cleaning with water vapor at 120 °C or re-painting the façade, depending on the kind of contaminant and the seriousness of the problem. 8. Which steps should be taken to paint a façade professionally? The protection and decoration of a façade or external wall requires a deeply knowledge of the problem, an extensive proficiency of the different types of preparation and reparation of the surface and the correct selection of the product according to the specific necessities. Superficial contamination by dirt or filth consists in the accumulation of dust, grease, etc. mixed with other organic contaminants, which are deposited on the surface conforming ground-in stains. Generally speaking, all façades, new or repainted, must be previously prepared to remove any kind of dirt or contaminants. Superficial contamination by microorganisms (mold, mildew), depending on location or weathering conditions, may result in black, grey or brown stains, due to the growth of mold on the surface, or green, yellowish or ochre stains, due to the presence of lichens, moss or algae. The presence of microorganisms reveals an elevated rate of humidity on the surface, which may derive from environmental factors (rain, condensation, dew, relative humidity, etc. ), from an external surface with a high capacity of absorption, from humidity by capillarity or from critical points of thermal break. Before any treatment may be started, the origin and causes of the elevated humidity must be analyzed, and, if feasible, to carry out corrective actions to remove it or to reduce its presence. Cracks, fissures and micro-holes are all those openings present in the external surface. Cracks are uncontrolled openings which affect the whole thickness of the surface. This problem must be immediately solved to avoid irreversible damages or elevated costs of reparation. The presence of cracks, fissures and micro-holes are usually due to defects of construction, ground movements, building settlement, atmospheric agents as frost-thaw, abundance of solvable salts or premature wear of any of the base materials. Prior to their reparation, you must examine the surface on which they have appeared, their depth and their exact location on the façade or the wall. Efflorescence, saltpeter and solvable salts can manifest as whitish stains on the coating paint, on concrete or on brick. They are composed of tiny solvent salt crystals which lay in the interior of the materials, and then get dissolved and dragged through pores or cracks till the surface, where they make appearance after the evaporation of water. The loss of superficial consistency consists on the uncontrolled detachment of the coating paint from the surface of application. This separation can manifest as cracks, flaking or blisters. • Alkalinity: due to the nature of the support and the presence of humidity, alkalis crystallize as solvent salts, which progressively affect the internal structure of the wall or surface; hygroscopic pressure will increase the support volume, and will cause internal tensions and expansions. • Humidity: it consists on the filtration of water towards the interior of the support through unsealed, distressed or worn-out joints or cracks, or through leaks on decks or walls. Continued exposition of the support to humidity and water in its different states, can hasten the loss of general resistance, especially if the previous preparation of the surface has not been carried out properly. Damages by carbonation occur when structural concrete suffer a physicochemical process from outside, by which it loses the natural alkalinity protecting the whole structure. During the hydration of the concrete, reaction with mixing water triggers off the formation of other components -considerable quantities of calcium hydroxide- which provide concrete a nature prominently alkaline preventing rusting of the steel structure. Over the years, carbon dioxide in the atmosphere, combined with water in the form of carbonic acid, spread through the pores of concrete and reacts with the chemical compounds found there, as calcium hydroxide. As a result of their neutralization, calcium carbonates will appear. Progressive transformation of calcium hydroxides into calcium carbonates will provoke the decrease of the original nature of concrete. Rusting will take place along the whole surface of the steel structure with the imminent increase of its volume and later, the appearance of cracks. In order to detect this pathology, it will be necessary to look for rust stains and longitudinal cracks along the whole frame. The most common inorganic supports found in a façade or external wall are: concrete, mortar, fiber cement, precast slabs, clinker bricks, natural stone and porous surfaces. The support must be firm, compact, clean and free of dust, dirt, laitance, free particles, rest of release agents or residues from other works. The preparation of the support may be carried out by mechanical means (pressurized water, sandblasting, abrasive water jet, pneumatic needle scaler, water vapor at 120°) or manual (wire scrubbing brush). Once the cleaning and preparation process has been finished, it is recommended to perform tests and other analysis to ensure good final painting results. -Check with your hand or with a black synthetic cloth for the presence of dust and other residual particles. -Hit the surface with a hammer to detect any hollow. -Examine with a pin the cohesiveness of the concrete and find any inconsistent area due to external chemical or mechanical aggression. -Damp the surface with water to detect the presence of release agents, silicones, stearates and other products of grease or water-repellent characteristics, which may cause repellence problems. The first step consists in selecting the most suitable primer or sealer according to the nature, problem or kind of support. Dilutions will be adjusted to the characteristics of the support and the conditions of application. The second step involves determining the methodology to follow according to the nature and state of the surface. On new, well-kept surfaces, clean, leave to dry and apply the recommended painting methodology. On distressed surfaces, if paint is not in good conditions, remove it completely by mechanical or manual means, level irregularities with cement plaster for outdoors, leave to dry and eliminate slag by sanding. If the surface is deeply contaminated by mold or mildew, clean with a fungicide or sodium hypochlorite (bleach) to destroy microorganisms, leave to dry 30 minutes and clean with a wire scrubbing brush or a sponge. If the surface is dusty but consistent, seal with a hardening sealer, adjusting the dilution to the absorption and conditions of the support. On surfaces with a paint coaching in good conditions, do as with new surfaces. Once the primer and the finish have been decided according to the kind of work to perform and the necessities to cover, the third step comprises the application of 3 coaches (1 of primer and 2 of finish) by roller, in cross direction and in different colors by preference.